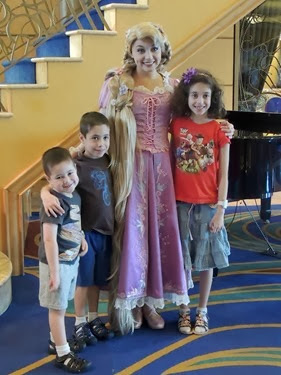 Before we left for our Disney Cruise, my kids and I had many questions. 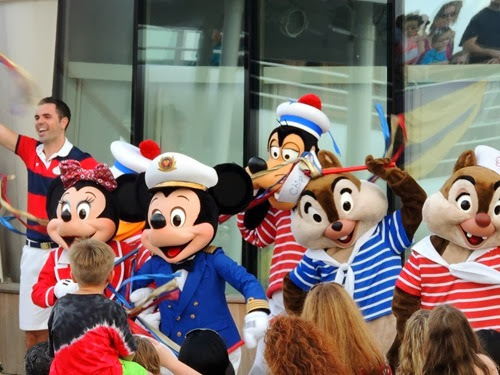 One of the most pressing – which characters would be sailing with us? 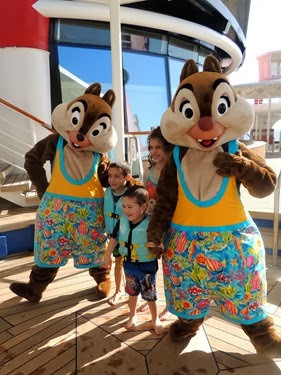 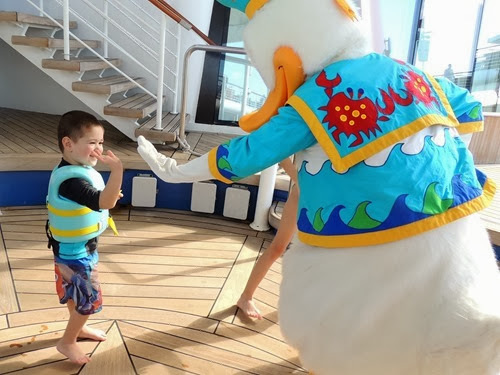 This differs based on your ship and itinerary, but on our 5-day Western Caribbean Cruise on the Disney Wonder, we were able to meet and see a variety of characters. 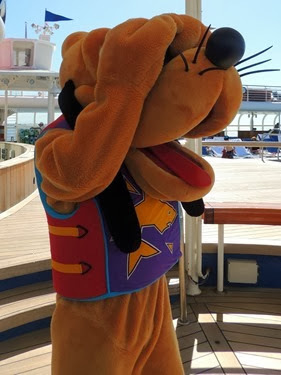 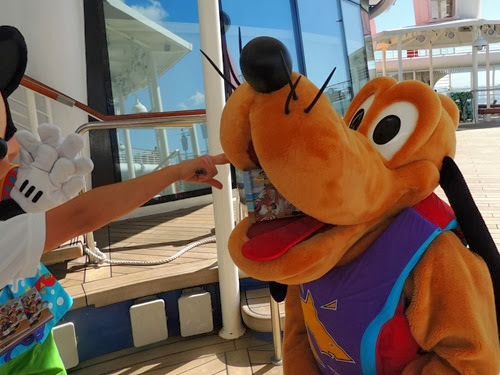 The first character we met was in port – after checking in, we were about to board the ship, when we saw a character greeting area. 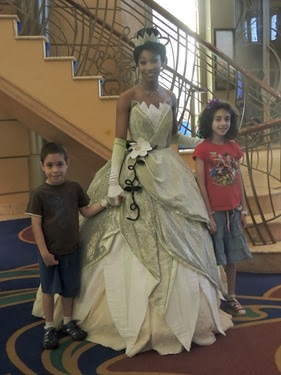 This is in the back of the terminal behind the escalator. 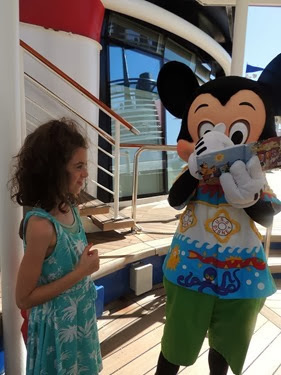 There was no line what-so-ever and we met Minnie Mouse! 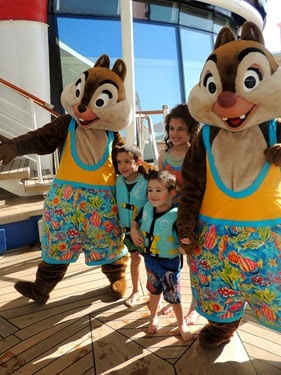 The Fab 5 and Friends were definitely on the ship and could be found dressed in different outfits daily, from their cruise attire, to their island attire, their swimming outfits, and their pirate outfits. 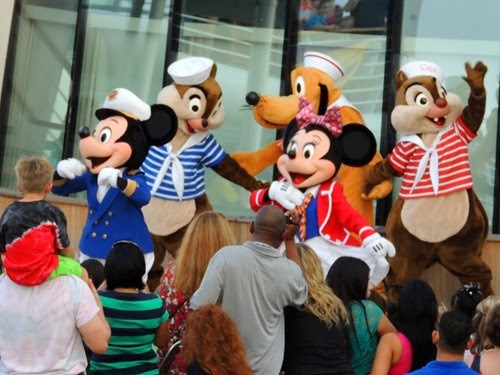 These characters included Mickey, Minnie, Donald, Daisy, Goofy, Pluto, Chip, and Dale. 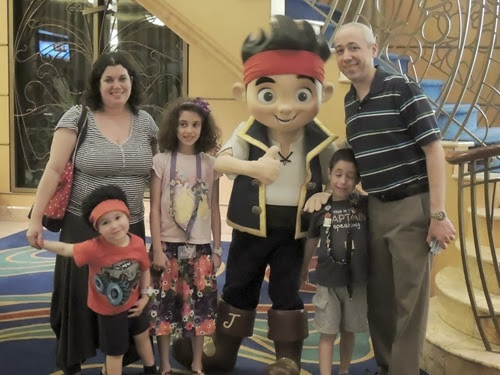 We managed to meet all of these characters while at the pool one afternoon. 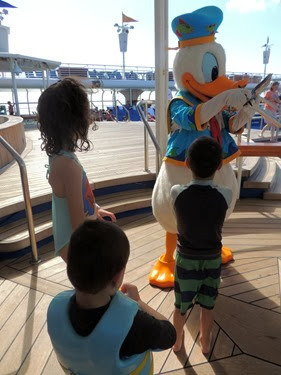 A different character was scheduled to visit the pool area every half hour, so after meeting each character, one of us would get into the line for the next character and the kids would swim in between. 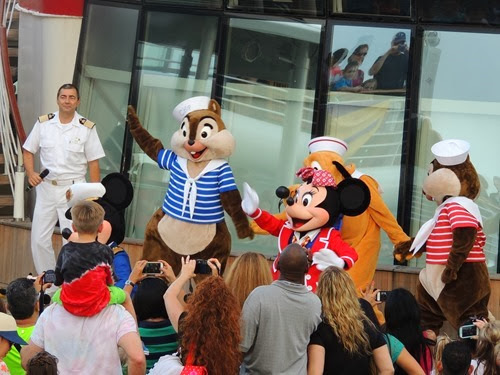 While the schedule only listed one character at a time, they actually came out two at a time! 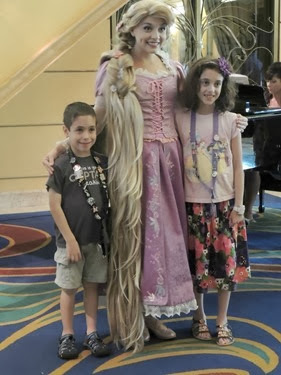 We also had princesses on board. 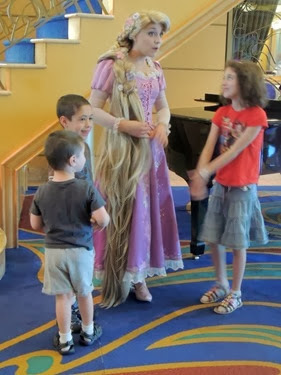 On the first day at sea, there was a meet up where you could wait in one line to meet 4 princesses in a row. 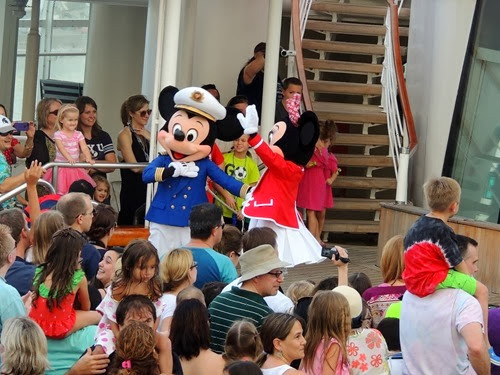 The little girls were out in full force! 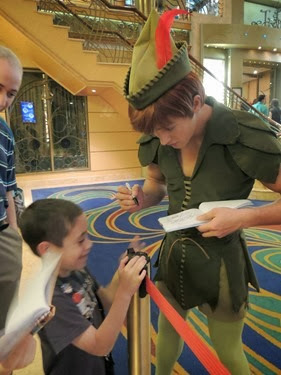 On the schedule, there was a note that this event would occur again. 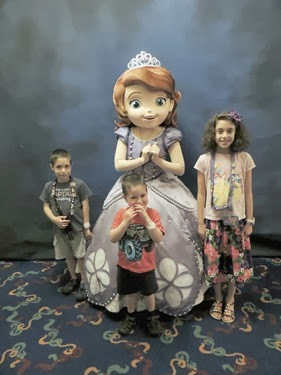 We ended up doing the princess meet up the second time it happened because there was a very short line! 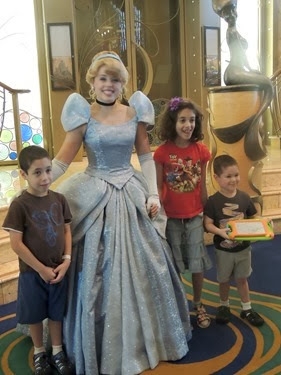 By then, we’d met all of the princesses but one, but we were happy to meet them again. 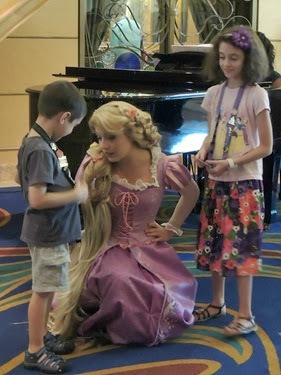 We also discovered a super secret princess meet up – the princess tea party. 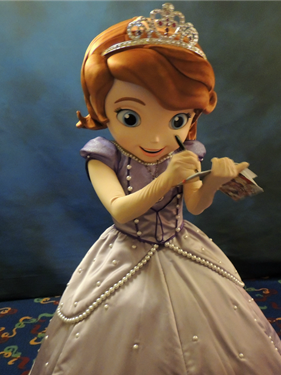 This is an unannounced meet up, but you must register in advance, so it’s open to those in the know! 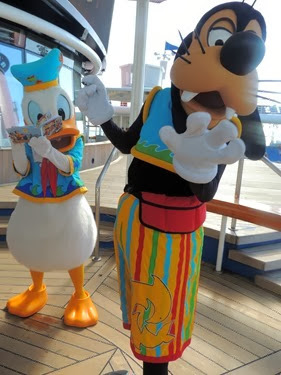 We inquired about the tea party soon after boarding the ship. 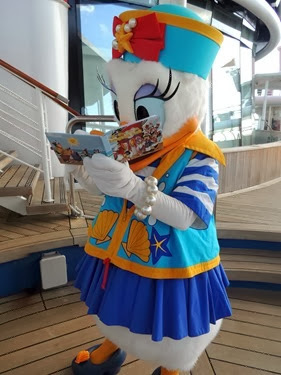 We were given tickets to the tea party and we were told that the event only happened the one time, but I later found out that it did occur again on the second at-sea day. 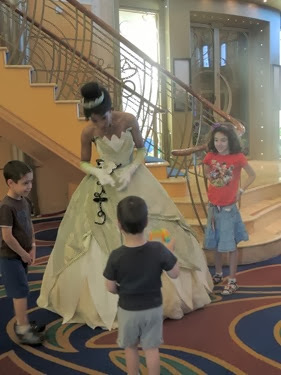 The princesses that were on our cruse included Ariel, Tiana, Cinderella, and Rapunzel. 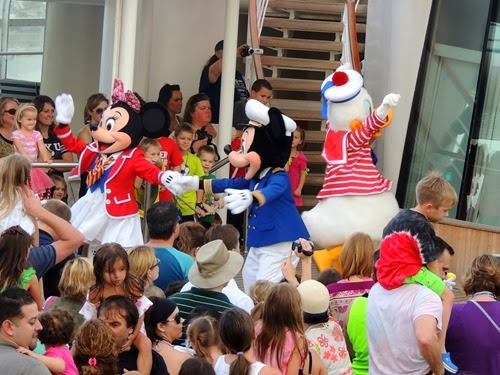 Actually, there was one other princess on board – Princess Sofia! 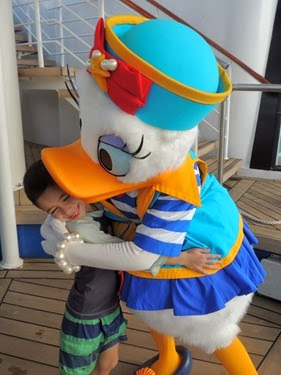 I may have been more excited than the kids about this one since we had never met her before. 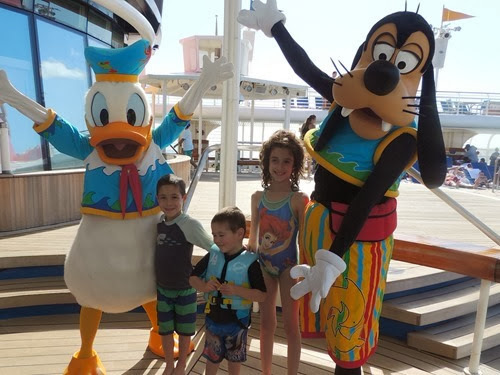 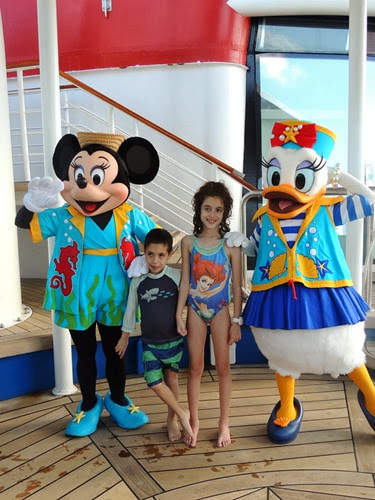 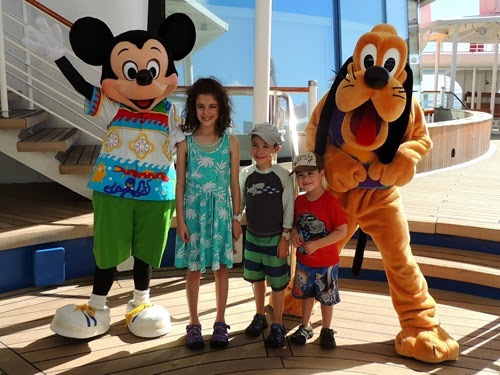 Sofia and Jake represented the Disney Junior characters on board. 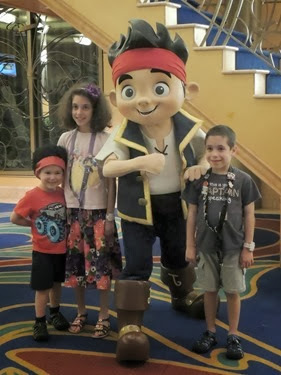 There were also pirates! 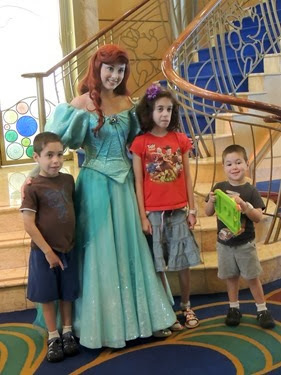 Aside from Jake that is. 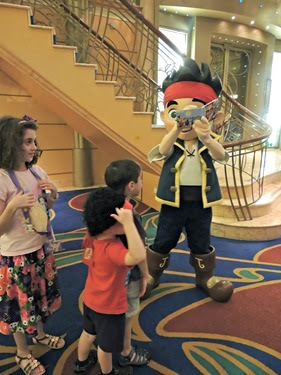 On pirate night, all the characters were dressed as pirates, but Captain Jack, Captain Hook, Mr. Smee, and Peter Pan also appeared, some on more than just pirate night. 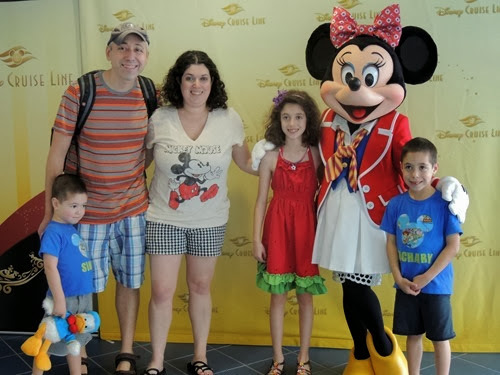 Thus far, all of these meet ups involved waiting in lines. 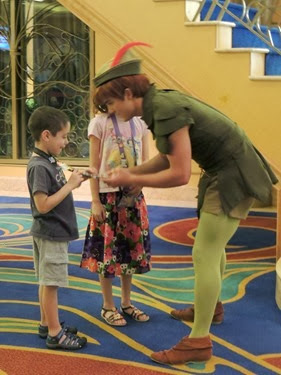 At times though, we did see characters walking around and interacting with visitors randomly. 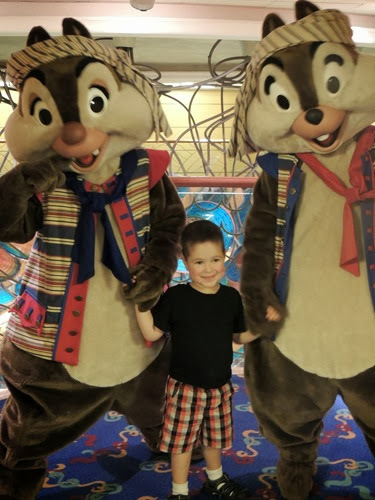 Simon got to meet Pirate Chip and Dale that way! 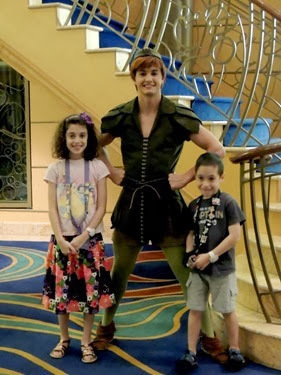 Of course, many other characters appeared in the shows that we watched each night in the theater on board, such as Snow White, Timon and Pumbaa, Tarzan (unfortunately not portrayed by Tony Goldwyn), Buzz and Woody, Pocahontas, Cruella DeVil, and lots more. 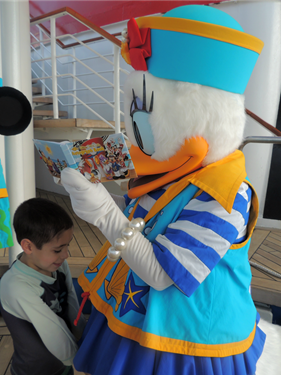 Photos weren’t allowed in the theater, but here are some from the Welcome Aboard show that took place by the pool! 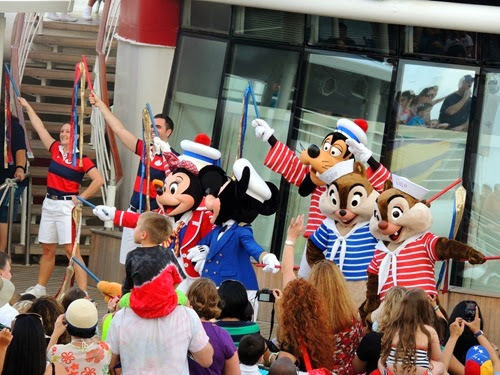 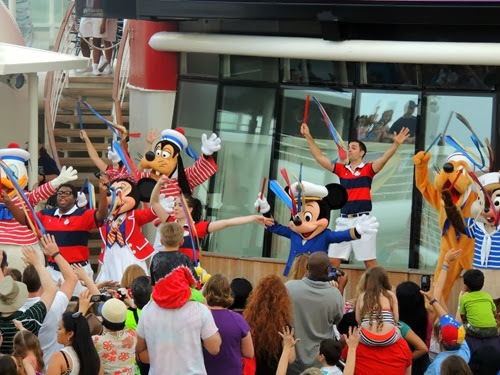 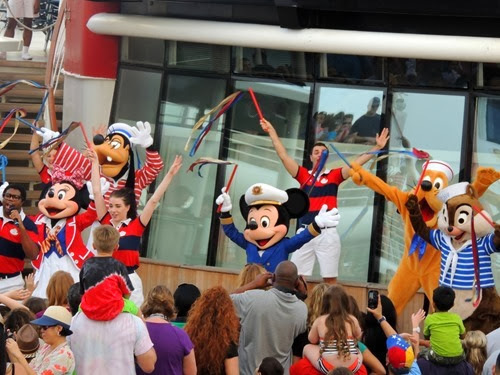 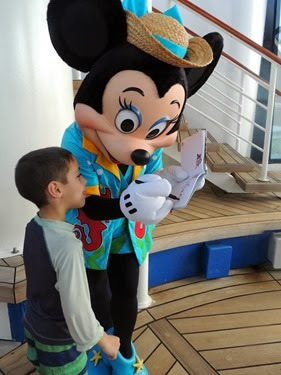 So, all of these character meetings and sightings give you some insight into how a Disney Cruise is different from just any cruise! 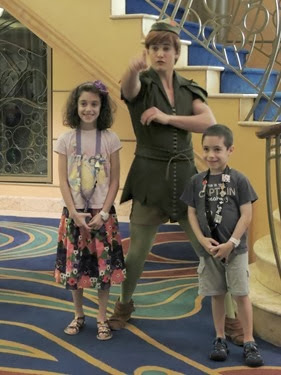 Next week I’ll be sharing some of the things we did when were weren’t actually on the ship, so I’ll see you then!